Family bedtime. 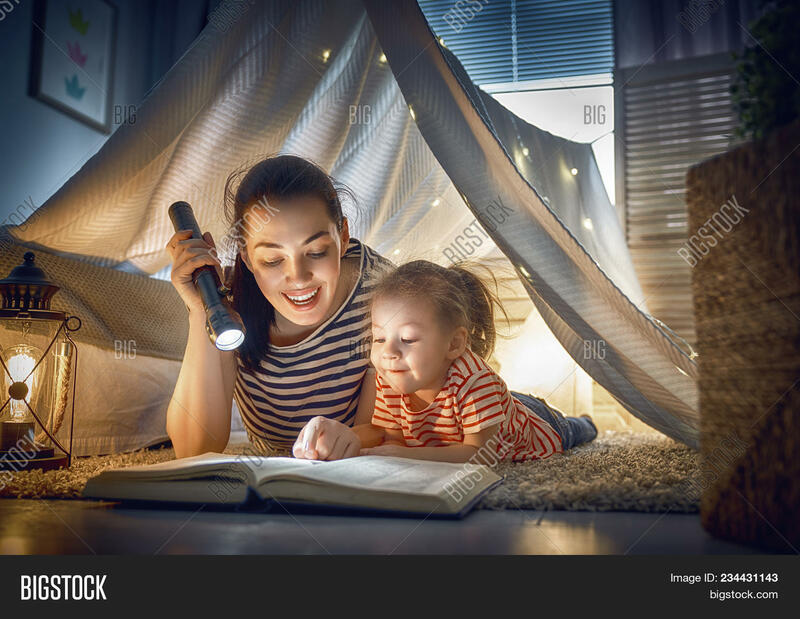 Mom and child daughter are reading a book in tent. 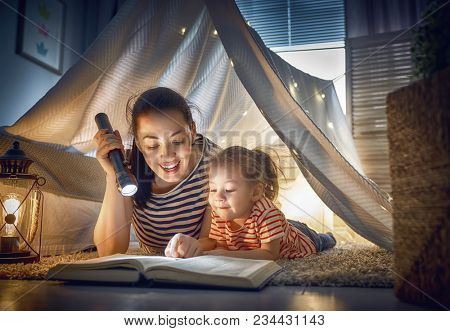 Pretty young mother and lovely girl having fun in children room.